I’m not here to give you a theater review or entertainment column analysis of the stand-up act. I’m here to point you toward this surprising gem as an extremely well-communicated story of mental illness, especially depression and mood disorders. If you, personally, think you have a mood disorder (depression, anxiety, bipolar, etc. ), but aren’t sure, this could help. If you know someone who has a mood disorder, or any mental illness really, watching Chris’ story might answer a lot of questions. The act--it feels inappropriate to call it that--the reality, rather, is essentially Chris’ lifelong story and struggle with depression, anxiety, and mania. He’s so real and vulnerable in it, that he even shares a suicide attempt from his early 20s. Chris also intimately invites the audience into the crucial moment he told his mom about his struggle with depression and suicidality for the first time. He goes on to share the excuses he told himself to avoid the treatment he needed. 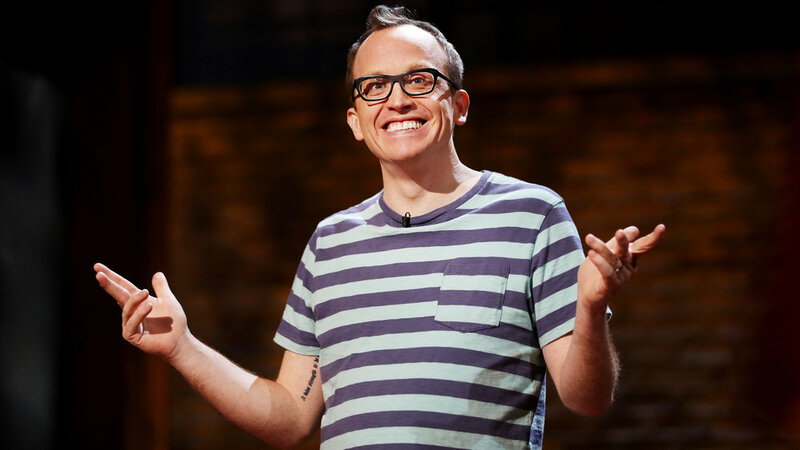 At this point you might be getting the idea that Gethard tells a profound and depressing story of his life. And you may be asking, “Wait, so where is the comedy?” Good question. All I can say is, he interweaves it so beautifully, you will be surprised. Furthermore, when he hits a punch line, you don’t loose the gravity of the message he is sharing with his viewers. I want to tell you how a device designed for your kids could work great for you or your spouse as well.